At aura skin care and laser our Medical Esthetician utilize a unique cavitation technology that allows for non-invasive combat against stubborn fat deposits that never seem to disappear regardless of your diet or how hard you work out. Unlike the well-known procedure called liposuction or tummy tuck. Ultrasonic fat Cavitation & G5 cellutec™ fat cavitation is a non-surgical, non-invasive treatment for cellulite, also known as localized adiposity. 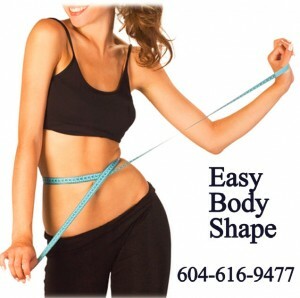 To obtain the best results it is highly recommended a fat cavitation therapy and whole Body Vibration Session. These combined treatments intensify the result. The most problematic body areas are: abdomen, flanks (“love handles”), thighs (“saddle bags”), buttocks, inner knees, and upper arm. When low frequency ultrasound is applied to the local area being treated, the vibrations produce stable cavitation which in turn causes fat cell disruption. The liquefied cells are then metabolized by the liver and taken up in the lymphatic system and finally eliminated via the urinary system. Connective tissues, nerves, blood vessels and skin covering the area are not susceptible to the ultrasonic waves therefore remain undamaged. Customers of Aura skin Care and Laser have experienced net results in reduction in the volume of fatty tissues located between the muscles and the skin. Ultrasonic Fat Cavitation is a relatively new non-invasive procedure designed to reduce localized fat by applying safe levels of ultrasound energy via a hand held probe to a targeted area of subcutaneous fat. It is a body shaping procedure that works by breaking down deep stubborn local fat tissues which are subsequently disposed of through the lymphatic and urinary systems. It is also effective in reducing cellulite, a condition which affects most women over 20, whether slim or overweight. When applied in conjunction with Radio Frequency (RF), the heating and cavitation effects can also promote collagen realignment and as a result will tighten the skin and reduce wrinkles. When low frequency ultrasound is applied to the local area being treated, the vibrations produce stable cavitation which in turn causes fat cell disruption. The liquefied cells are then metabolized by the liver and taken up in the lymphatic system and finally eliminated via the urinary system. Connective tissues, nerves, blood vessels and skin covering the area are not susceptible to the ultrasonic waves therefore remain undamaged. The net result is a reduction in the volume of fatty tissues located between the muscles and the skin. Please contact Aura Skin Care and Laser Medical Esthetician for a free consultation and get your more questions answered. G5 cellutec™ Exfoliation For skin: Exfoliation by specific wand makes increase skin function more efficient It helps to Improve the texture of skin. Enhances removal dead cells. Stimulates and improve the activities of oils glands. Exfoliation creates soft, supple skin. Helps to stimulate collagen and elasticity of skin. G5 cellutec™ Massage for Athletes: An ideal choice for athletes because it can give quick relief from sports related joint pain and muscular aches. It helps to relax the tight muscles and improves the flexibility. G5 Cellutec™ Massage Machine is FDA approved since more than 45 years.